This project represents a long-term collaboration between Christianity and Culture and the church of Holy Trinity Micklegate in York. 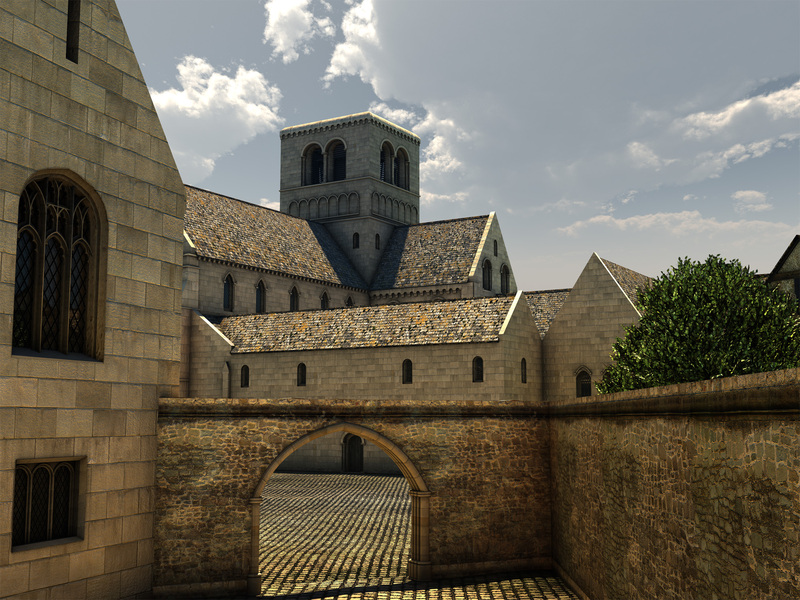 'Micklegate Priory Revealed' sought to explore a 15th-century Benedictine monastery that was one of several major religious houses located within the walls of York during this time. 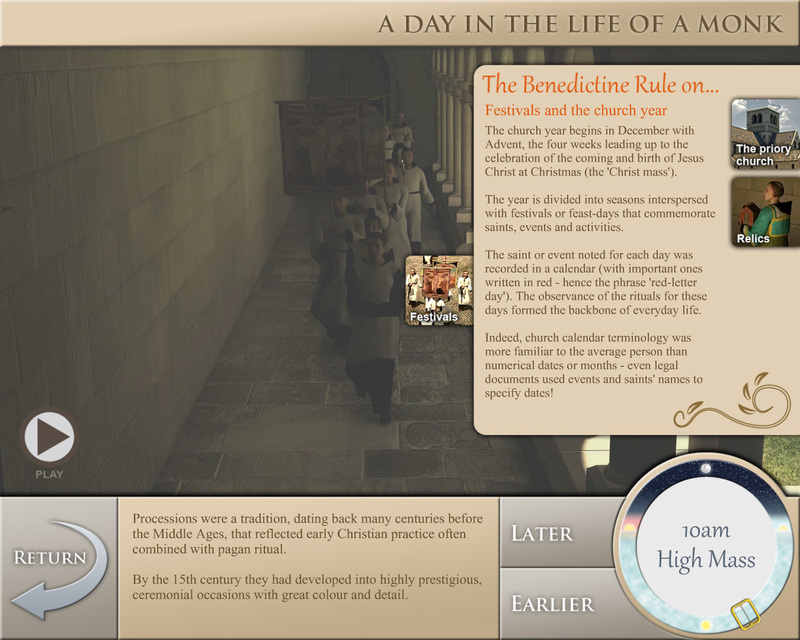 Using innovative 3D visualisation, and spread across two main phases of work in 2010 and 2013, the project delivered an interactive touchscreen that sits alongside the existing 'Monks of Micklegate' exhibition as part of the church's visitor interpretation. 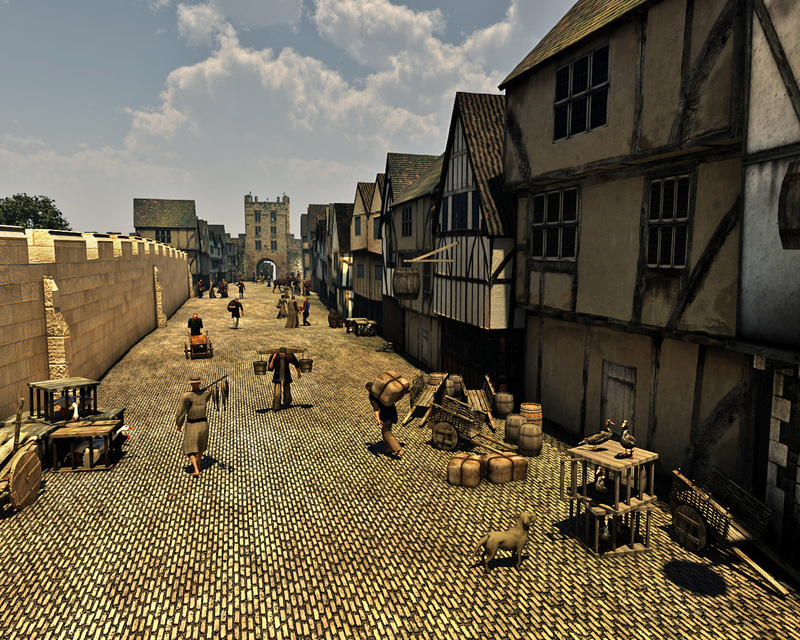 This initial phase was one of Christianity and Culture's first 3D visualisation projects, delivered in September 2010. 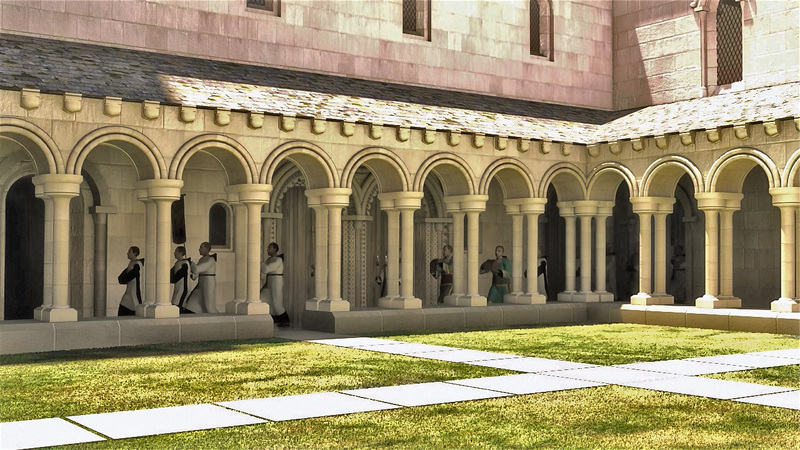 It offered an excellent opportunity to work with a significant monastic site, of which very little aside from a portion of the priory church, was still in existence. 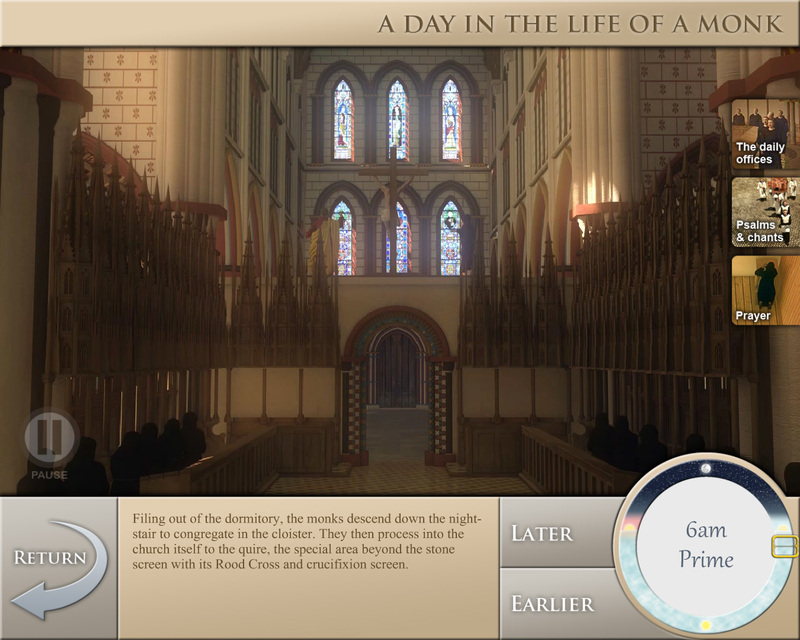 The first touchscreen installation focused on twelve areas of the priory and its surrounding precinct, including the cloister, the workshops, the gardens and the fishponds. 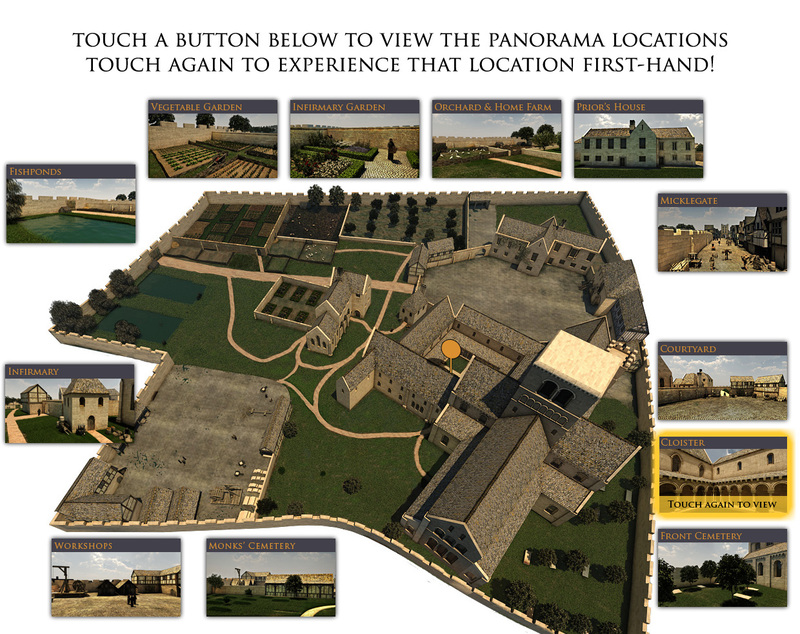 Each area was presented as a 360-degree panorama of the digitally-reconstructed area, annotated with information points that provide interesting details on how the priory functioned and how its inhabitants lived. 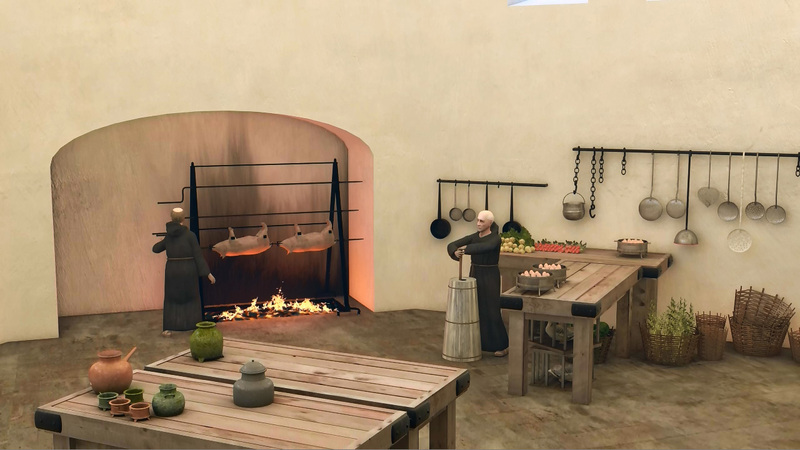 Additional animations, accessible from within the reconstruction, present certain buildings and areas in more detail: visitors can see the dramatic tower collapse of 1550 and the devastating effect it had on the church, or take a virtual stroll around the gardens to see some of the plants that would have been grown and learn about their uses. 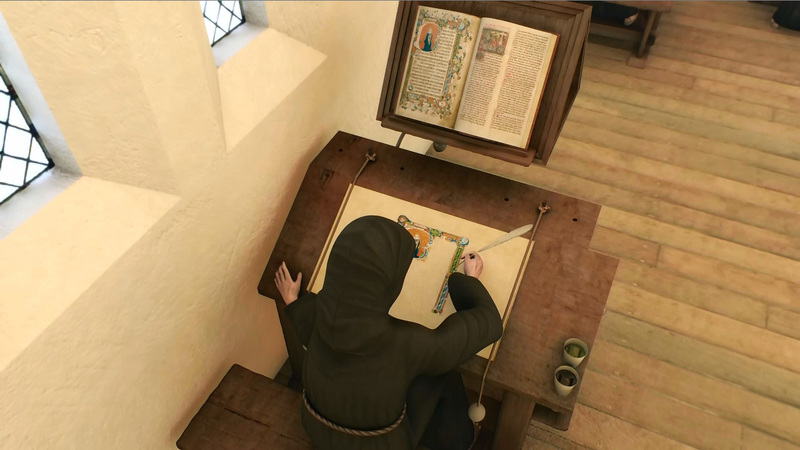 The second phase of the project explored the interiors of the monastic buildings through the concept of 'a day in the life of a medieval monk'. This required the incorporation of animated elements to the 3D visualisations, which were output as movies that could be played on the touchscreen alongside additional contexual information. 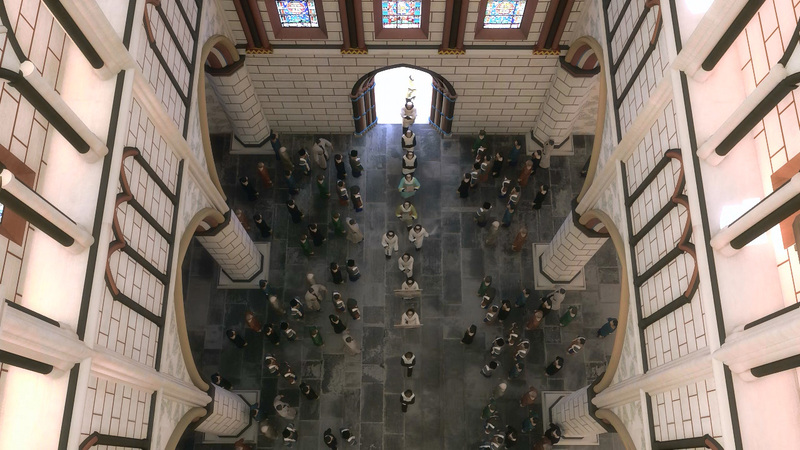 Using motion capture data and 3D character animations techniques, the priory's kitchens, dormitory, refectory, scriptorium and priory church were all brought to life. 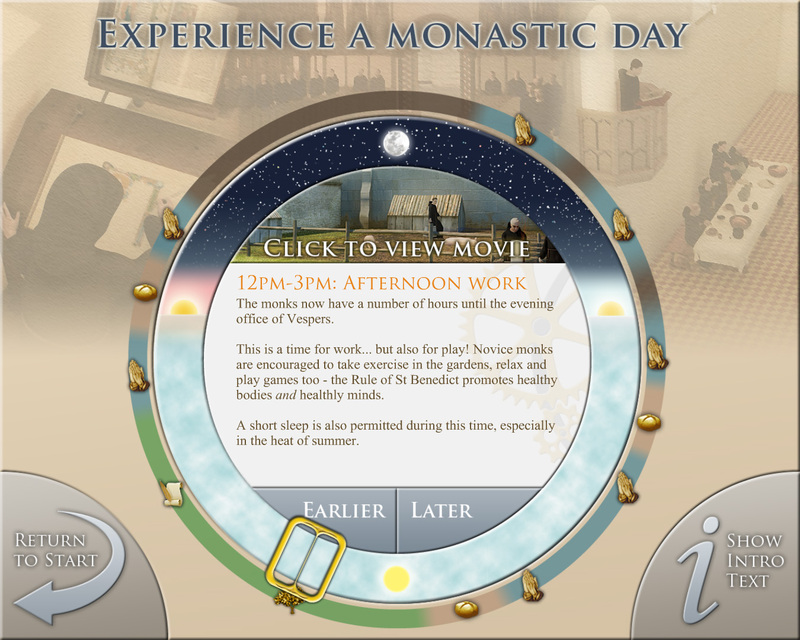 The touchscreen allows visitors to progress through the typical routine for monastic monk. 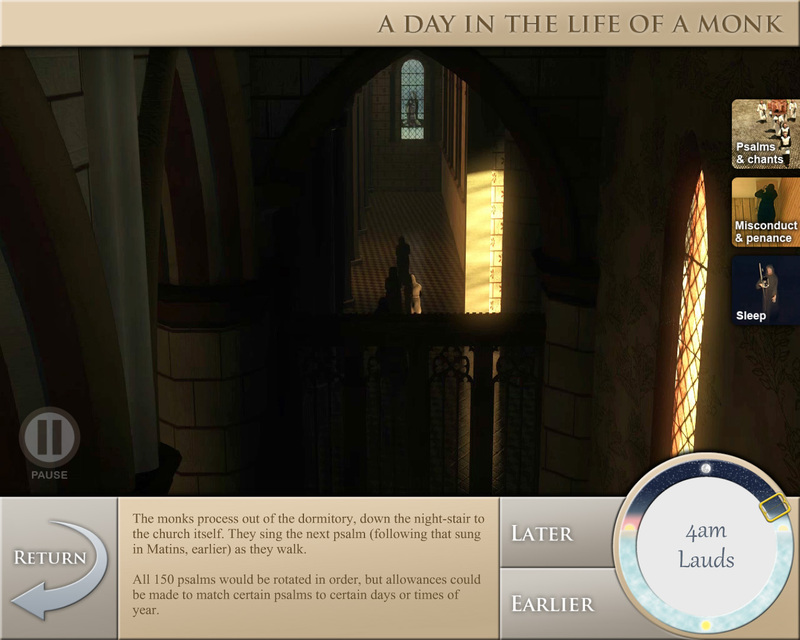 Beginning with early morning services such as Matins and Lauds, through to meal times, daily work in the gardens and scriptorium, and finally the evening service of Compline, the monks' busy daily schedule was represented by a 'wheel' interface to help viewers comprehend the frequency of prayer and duty. Holy Trinity Micklegate, is a thriving parish church with a long and complex history. The present church is only part of the nave from a much larger Benedictine priory church that was at the heart of a seven-acre monastic precinct. 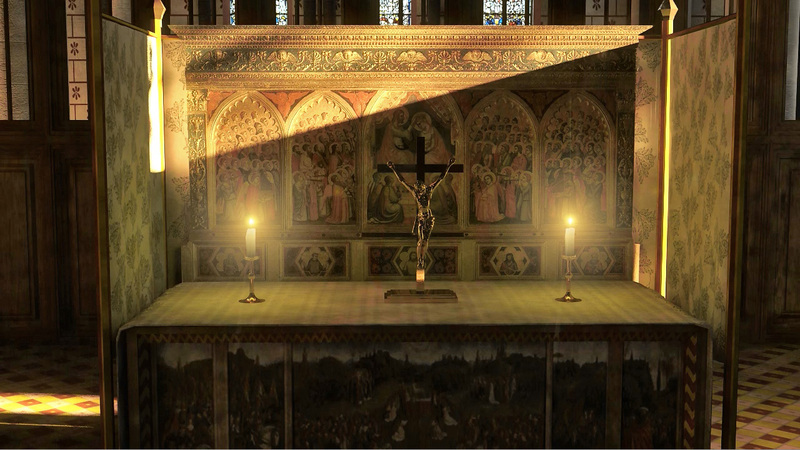 The modern-day Anglican parish has strong ecumenical links with both the Benedictine abbey at Ampleforth and with a number of other religious houses of both Anglican and Roman Catholic denominations. The priory at Micklegate was dissolved at the Reformation and its land and buildings disposed of, but the local parish was allowed to retain its part of the church - albeit in a poor state of repair after a dramatic tower collapse in 1550. The quire of the church and almost all the associated monastic buildings have long since disappeared, but the legacy of that past remains in the local topography and in the names of streets and houses. The parish today is eager to tell the story of its monastic past and explain something of the nature of the religious life today. An exhibition exploring 'The Monks of Micklegate' has been in place in the church for a number of years, but ways to both expand that story and to capture some less tangible aspects were sought. 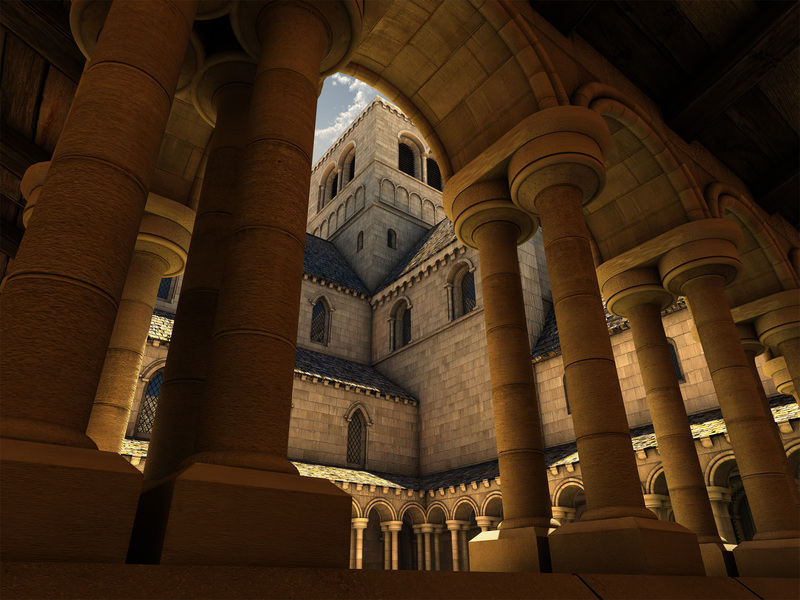 The parish approached Christianity and Culture to help present its lost monastic past, enabling visitors to explore different aspects of the life and buildings of the priory. Care was taken to provide information in an easily-accessible, engaging way - ensuring visitors of all ages, backgrounds and knowledge-levels could explore and learn at their own pace.